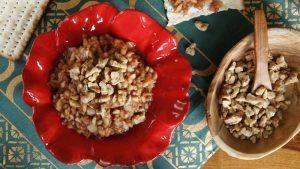 Home > Blog > David Spero > Prevent Diabetes With Insulin? New studies find that a short course of insulin at the first sign of Type 2 diabetes might prevent it or at least delay it for some years. The study enrolled 16 volunteers who had just been diagnosed with Type 2. Their average fasting blood sugar (FBS) was 13.3 mmol/l, or about 240 mg/dl. Subjects were taught to inject 5 units of short-acting (Regular) insulin before each meal and 10–15 units of intermediate-acting (NPH) insulin at bedtime. They didn’t have to start carb counting but were given diet instructions and taught to check glucose. 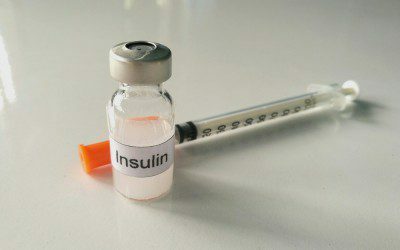 Insulin therapy continued for 2–3 weeks. Insulin doses were monitored and raised or lowered to reach normal glucose levels. Subjects’ diabetes symptoms (thirst, frequent urination, and fatigue) resolved soon after insulin therapy started. FBS dropped to an average of 126 mg/dl at the end of the trial, even when the insulin had been discontinued. After one year, seven of the subjects maintained good glycemic control on diet alone, eight required oral medications such as metformin, and one required insulin therapy. The people who stayed off meds were the ones who needed less insulin to reach normal in the first place. There were no recorded low blood sugar (hypoglycemia) reactions. The researchers said that getting glucose to normal allowed beta cells to heal and reduced insulin resistance. High glucose levels are toxic to beta cells, a major reason Type 2 diabetes tends to get worse with time. So the earlier you get glucose down, the better your chances of remaining diabetes-free. So then, why not start insulin before diabetes is even diagnosed? This was tried in a study published in 2012. Over 12,000 people with prediabetes or early stage Type 2 were divided into two groups. One received basal insulin glargine (brand name Lantus) once a day. The other group was treated with oral drugs and diet. This was not intensive insulin therapy like in the first study. There was no short-acting insulin at meals. Blood glucose was checked daily to adjust the glargine dose until fasting glucose levels were between 72 mg/dl and 95 mg/dl, and then at least twice weekly. Still, those in the insulin group were 28% less likely to progress to Type 2 over the six years of the study. There was no difference between groups in cardiovascular outcomes like stroke or heart attack, however. It seems clear that early use of insulin in Type 2 can slow down the progression of the disease. It does this by getting glucose levels near normal, which allows beta cells to heal. But do you really need insulin to get glucose levels down? In the “600-calorie-a-day” diet studies done on people with Type 2 at the University of Newcastle in the UK, people’s glucose returned to normal within eight weeks. They were taking no medications and had no surgery. At the end of the trial, people stopped the diet (600 calories of meal-replacement product each day supplemented with about 200 calories daily from non-starchy vegetables), but continued eating about one-third less than they had been prior to the start of the study. Many of the people who maintained fairly low-calorie diets remained diabetes free for at least six months. Low-carbohydrate diets often achieve similar diabetes remissions as very-low-calorie diets. In other studies, newly diagnosed patients with Type 2 and high HbA1c levels were treated with thiazolidinedione (TZD) drugs, or with insulin plus metformin, or with a combination of three oral drugs. All these intensive approaches stopped the progression of diabetes for most patients. Probably, plant medicines such as bitter melon or cinnamon can do the same thing, although they haven’t been studied in universities. The lesson is that beta cells can recover, and insulin resistance can be reduced by getting glucose levels close to normal. The longer beta cells have been soaking in a glucose bath, the slower and less complete the recovery will be. So you want to jump on diabetes at the first sign. It’s worth trying to get your sugars down as quickly as you can. How you do it is up to you and your doctor. Then you can maintain your insulin function by eating well and moving your body often.